The Novemeber 2014 newsletter came out today and with it this image of a giant squid. This brings me back to the test we did and our parents taken by a giant squid. What do you think it could be? Check out this months newsletter HERE today. Wizard101 Update- All Fish Caught! 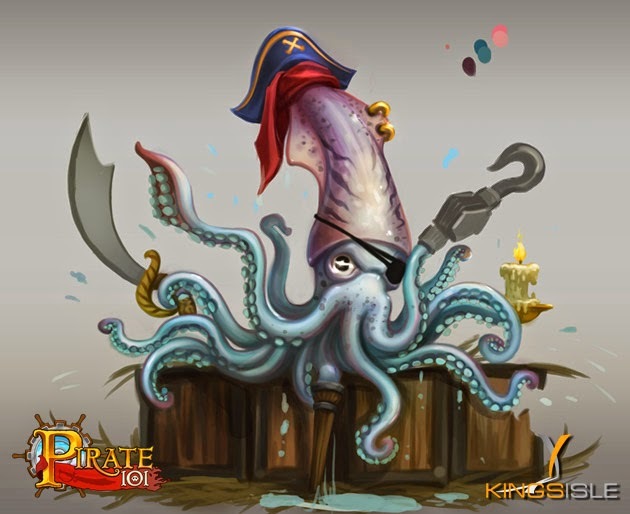 Pirate101 Vine - Captain's Quarters? Maybe?